The National Rifle Association’s opposition to the regulation of firearms isn’t only guided by the staunch position to protect the “constitutional rights” of gun owners. The NRA has received tens of millions of dollars from the firearms industry since 2005, which it in turn has used to lobby against even the most common-sense gun laws. GOP pollster Frank Luntz found that 74 percent of NRA members and 87 percent of non-NRA gun owners support criminal background checks to qualify for purchasing a gun, yet the NRA continues to lobby against mandatory federal background checks, suggesting it has more than just its constituents’ interests in mind. 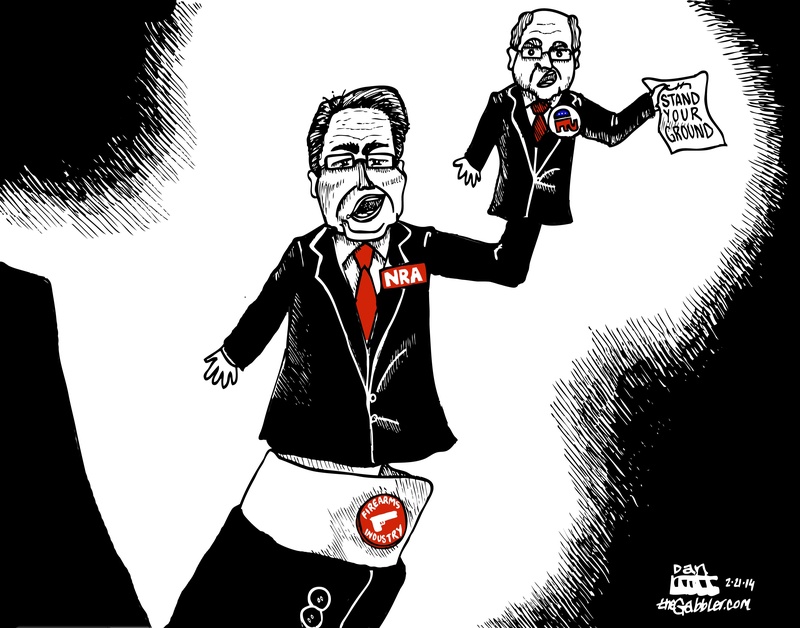 The NRA has also been using campaign donations and lobbying to promote state legislation, such as Florida’s 2005 “shoot first” Stand Your Ground Law, which has now been adopted by half of the country. All of this contributes to a legal environment where both ownership and the size of the firearms economy are as widespread and large-scale as possible, and the ability to use deadly force is given to any citizen who purchases a gun.